Sad to say, this week’s episode of Miami Medical is the penultimate. I hear the wailing and gnashing of teeth beginning to gain momentum as I type…they’ll soon begin to register on the Richter Scale. This episode follows right on from last week’s, so no travelling backwards or forwards in time needed to understand what’s happening with our favourite doctors. Down to the Bone is written by Pamela Davis and Elle Triedman, and is directed by Fred Toye. Dr C attempts to impress Proctor by disobeying him...smart move? Fans of Mike Vogel’s Dr C can expect to enjoy Down to the Bone. 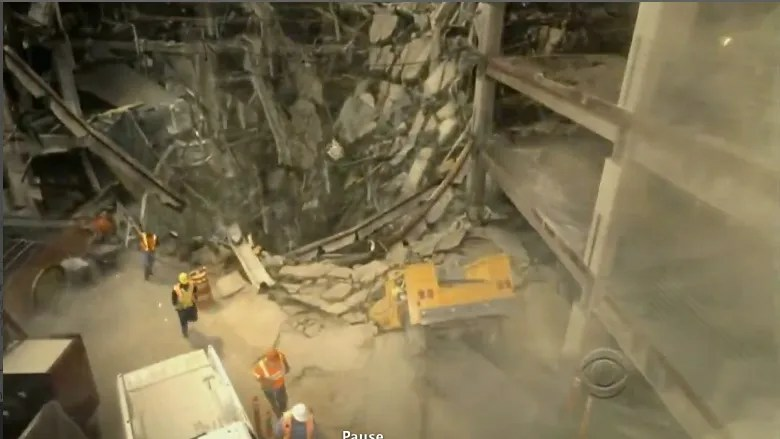 Chris’s attempts to impress Proctor lead him to disobey instructions and he goes to the scene of a giant sinkhole that looks completely terrifying! We’re told by Jeffrey Lieber that there’s ‘lots of Mike Vogel to go around’! Michael O’Neill (The West Wing) returns in this episode. You may recall his previous appearance as orthopedic surgeon Dr Bruce Kaye in a very early episode (88 Seconds), where he and Serena Warren had words. You’ll remember that Serena just about got the better of him on that occasion. This week, they meet again, and Dr Kaye is in need of Serena’s help when he collapses. I have no clues about my beloved Proctor in Down to the Bone, but it was Pamela Davis who gave us the paper aeroplanes in a previous episode, so let’s hope we have some classic Proctor to enjoy this week. I’m reliably informed that there will soon be news about whether a DVD of the show will be available. I’ll update you when I know more. Sue at The Exploding Egg also has a preview up. Interesting about the DVD. Hopefully it will be All Region so we ALL can enjoy the shows. Will be wonderful to see it without commercials so we can follow the plot without interruption. I’ll missing seeing MM every Friday night and, after next Friday, will go into my CBS avoidance mode. I’ll miss my weekly dose of this wonderful show too Joan, including my recommended weekly amount of Mr J Northam…it’s been such a treat to see him every week. I hope after this debacle that a new group of pilot testers are assigned. I will continue to not watch the shows that have been selected as ones to prosper. The DVD would, of course, be of interest but I never missed an episode. I would be much more interested in episodes going forward. What a waste!!!! After all the pilots you must run, you should be able to figure out that 8 episodes does not a good test make, especially when those episodes are at 11:00 pm from the California borders east and possibly later as the time zones change. Peiople are more inclined to stay up to watch an 11:00 o”clock show if they are already hooked but to start a new one out, not usually a choice of time. I kind of figured, since 99% of what we get on Masterpiece is recycled from UK TV programming, but I wouldn’t want you to miss any Toby. I’m jealous of the theater-going! The next play JN does, I’m so gonna figure out a way to go. Checking Lana Parrilla’s imdb page is the best way to keep up with what she is doing now. 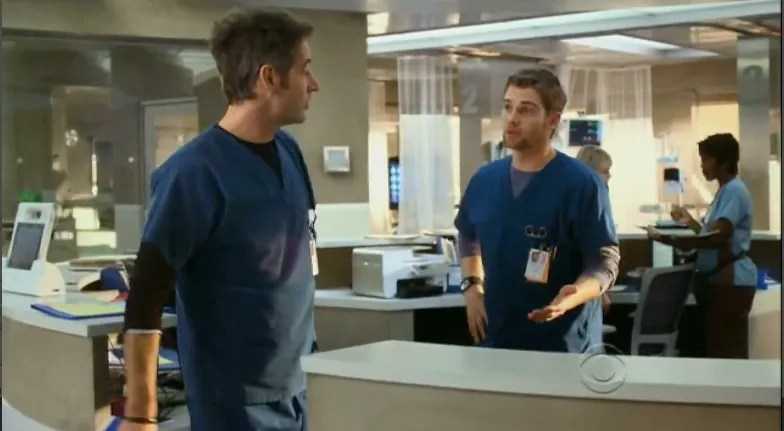 In Norway they did show Miami Medical at 06:00 AM, before I go to work 🙂 Loved it…Down to the bone, the start of the episode music “Por Favor”? Who play that song? Hi Dag, I’m so glad you enjoyed Miami Medical. I’m very sorry, I don’t know who performed the song from Down to the Bone. If anyone does know, please tell us!